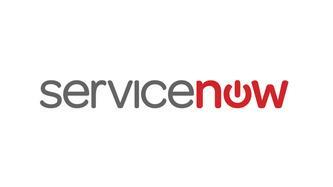 ServiceNow Inc (NYSE: NOW) stock surged over 5.4% on April 26th, 2018 (As of 1:09 PM GMT-4; Source: Google finance) driven by their ongoing solid performance. The group closed 21 deals with ACV greater than $1 million. The 536 customers are currently doing more than $1 million in business with us which represents a year-over-year growth of 43%. Their Subscription revenues surged 40% yoy to $543 million, while the adjusted growth was 34%. Subscription billings surged 33% yoy to $638 million, while adjusted growth was 28%. The subscription billings strength was boosted by a solid net new ACV performance, favorable foreign exchange gain fluctuations, and a handful of unexpected multi-year billings. Their performance was solid worldwide with particular strength in EMEA. Over half of their top 20 new deals came from outside North America in the quarter, while their renewal rate remained consistently strong at above 98%. The pipeline of new customer deals is diversifying, coming from large public and private companies, as well as government agencies. The group witnessed a major growth in opportunities wherein one of their largest deals in Q1 was with a $20 billion private company that has over 50,000 employees. They won two deals, one at $1.8 million and one at $2.2 million in Q1, with U.S. federal agencies. For the second quarter and full year 2018, they forecast a subscription revenues in the range of $568 million and $573 million, which is a 41% to 42% year-over-year growth and 36% to 37% adjusted growth. The group forecasts a subscription billings in the range o $608 million and $612 million, which is a 34% to 35% year-over-year growth, and 28% to 39% adjusted growth. Operating margin is expected to be 16%. They are also raising their full-year 2018 subscription revenue guidance to be in the range of $2.4 billion and $2.415 billion, representing 38% to 39% year-over-year growth and 34% to 35% adjusted growth. full-year 2018 subscription billings is expected to be in the range of $2.83 billion and $2.845 billion, which is a 33% to 34% year-over-year growth and 30% adjusted growth.